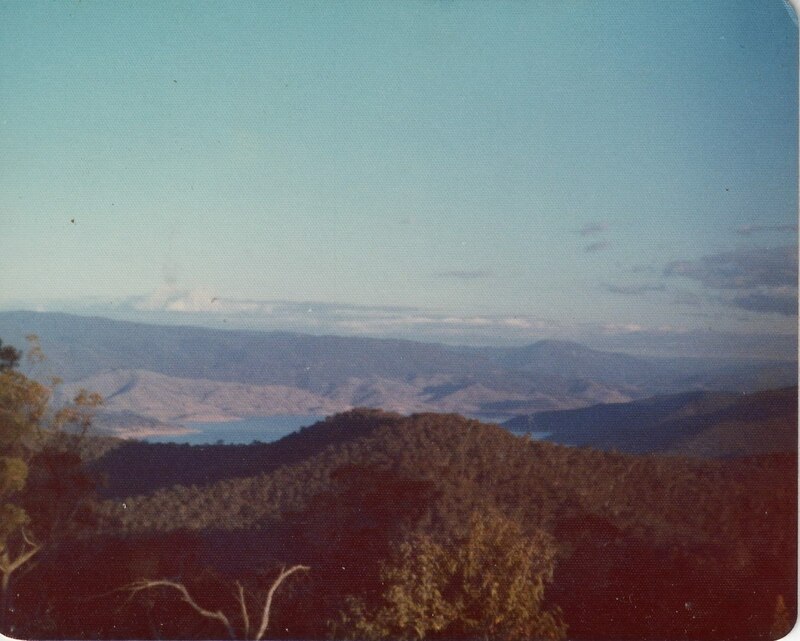 Mt Wereboldera behind what was the tip back in 1975, overlooking towards Blowering Dam. Too long ago, and only detail on pic is the Kodak symbol and ‘May 75-M’ printed by the chemist/D&P place. Then my scrawl of ‘Blowering Dam from $100 Trig Site’. Figure that might mean something to someone?? VAGUE recollection there was a trig site there and that was the designation on it (apex of the mountain?? ).